To add a contact you must have at least one profile at SJ IM. To add a contact, please, tap “+”in the upper right corner of the main application window. In the appeared window enter a correct JID completely (hello [email protected] ). During adding of a contact directly you can point user name or name which will be displayed in the main window of program for this contact. 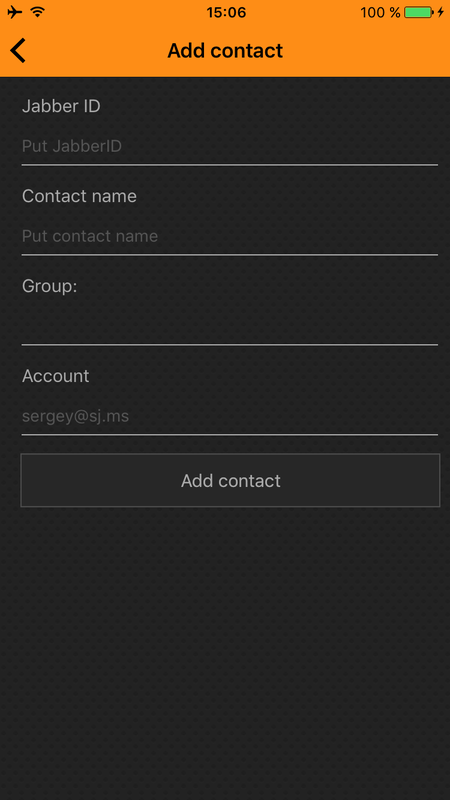 Select the Group to which the user will be added immediately. Select the Profile to which you want to add a contact if you have more than one profile.